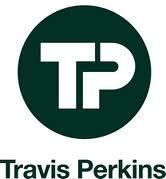 Pennyfarthing Homes Ltd will soon be submitting proposals for either a 23 or 25 home development on the Travis Perkins site in Lymington. The planning consultants Tanner Tilley welcome comments at planners@tanner-tilley.co.uk. We attach a scan of the letter they sent local residents with plans for both development options. If you have any comments please feel free to post them here.